Some not-yet-bloomed tulips that I posted on my other blog in color. I desaturated the color photo, used Channel Mixer to get the sepia color I wanted, then laid on a gradient layer, and used a black vignette that I reduced quite a bit. Sign Mr. Linky and leave a comment. Go around to visit other sepia shots by your fellow bloggers. 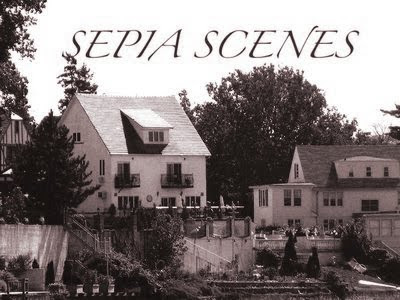 Next week I'll display a few of your posts for Sepia Scenes right here on my blog. You are truly an artist with photos! Love it! Sepia tulips have a very romantic feel to them. your tulips are very charming--and splendid in the color photo. 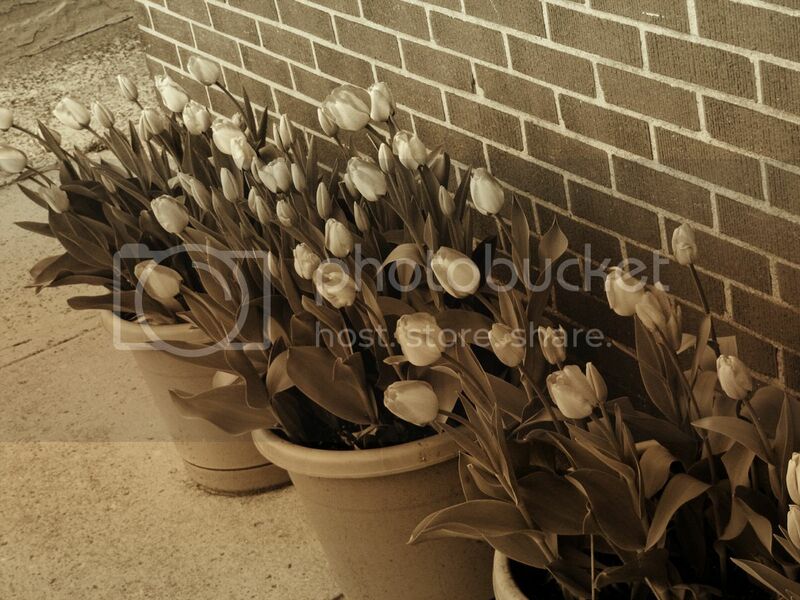 Tulips are beautiful in any color but this shot looks great especially against the brick wall! I really like how these tulips came out, Mary! Wow, that's a ton of tulips! Nice work with them! Love tulips and they look really nice in sepia. I do love the color one too. Mary, please remove nr 20. It is the stalker - he runs after me through all challenges and put my personal number in Mr Linky. Please send his IP and exact time to me. pretty Tulips! How I wish we could grow Tulips in this part of the globe. Hi Mary!!! Oh how I adore tulips ... and seems no matter what is doen to them they alays look good!!! This picture looks like it came from a long time ago. Have a great day! Please remove number 20 - it is the STAKER's entry. Hi, your tulip are gorgeous in sepia! :) Cheers from Scotland. i just happily happened upon your blog today and had my own sepia shot up...how funny. i'm excited to join your group today. Lovely photos, I love tupips.